The SoundCare™ Plus is the newest addition to the Current Solutions™ line of innovative products. 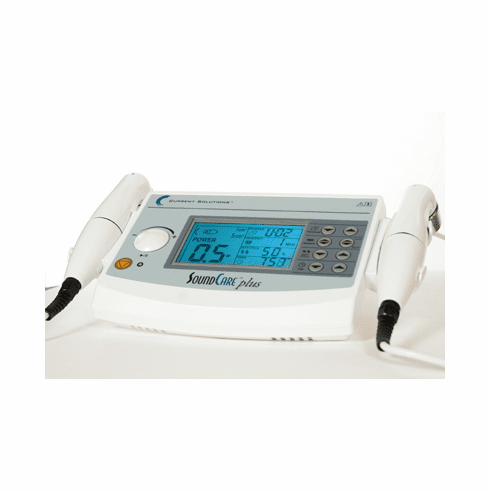 The SoundCare Plus™ is a Professional Ultrasound device, designed by Clinicians. This professional device is unique as it comes standard with 2 sound heads, 1 cm and 5 cm, that are both plugged into the device at the same time. The user can switch between wands with a single button push. The SoundCare™ Plus has 20 presets and operates in 1MHz and 3 MHz frequencies.